Foiled Slate Grey for durability; reflects 80% of the sun's harmful rays; 12 times thicker than traditional foils; thicker foiled means harder to scratch. Smooth finish to replicate an aluminum profile. Dark Grey and Anthracite Grey are both the same colour, the only differences are one is plain colour and the other wood grained. Manufacturer: Homeline RAL Colour: 7015 Product Length: 5m Product Width: 150mm Product Thickness: 9mm Return Leg: 38mm Accreditations: BSI Approved Guarantees:10 years Product Type: uPVC Smooth/Matte Slate Grey 9mm Reveal Liner Other: Available in a rang..
Light Grey Polypins. Approximately 250 pieces. 30mm pins. The picture is of dark grey, we do not have a light grey picture, unfortunately. Works with Slate Grey. ..
Light Grey Polypins. Approximately 100 pieces. 65mm pins. Picture is of Dark Grey, we do not have Light Grey unfortunately. Works with Slate Grey. 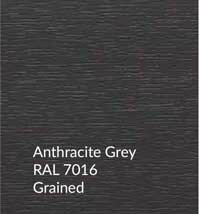 ..
RAL Colour: 7015 Product Length: 5m Accreditations: BSI Approved Guarantees: 10 Years Product Type: uPVC Slate Grey Woodgrain .. Manufacturer: Homeline RAL Colour: 7015 Product Length: 5m Product Width: 100mm Product Thickness: 9mm Return Leg: 38mm Accreditations: BSI Approved Guarantees: 10 years Product Type: uPVC Smooth/Matte Slate Grey 9mm Flat Board Other: Available in a range of colours includ.. Manufacturer: Homeline RAL Colour: 7015 Product Length: 5m Product Width: 150mm Product Thickness: 9mm Return Leg: 38mm Accreditations: BSI Approved Guarantees: 10 years Product Type: uPVC Smooth/Matte Slate Grey 9mm Flat Board Other: Available in a range.. Manufacturer: Homeline RAL Colour: 7015 Product Length: 5m Product Width: 150mm Product Thickness: 16mm Return Leg: 38mm Accreditations: BSI Approved Guarantees: 10 years Product Type: uPVC Smooth/Matte Slate Grey 16mm Reveal Liner Other: Available in a r.. 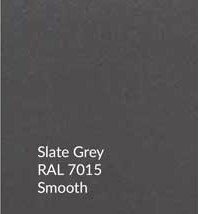 Manufacturer: Homeline RAL Colour: 7015 Product Length: 5m Product Width: 175mm Product Thickness: 9mm Return Leg: 38mm Accreditations: BSI Approved Guarantees: 10 years Product Type: uPVC Smooth/Matte Slate Grey 9mm Reveal Liner Other: Available in a ran..
RAL Colour: 7015 Product Length: 5m Accreditations: BBA & BSI Approved Guarantees: 10 Years Product Type: uPVC Smooth Slate Grey 2-Part Corner Trim .. Manufacturer: Homeline RAL Colour: 7015 Product Length: 5m Product Width: 175mm Product Thickness: 9mm Return Leg: 38mm Accreditations: BSI Approved Guarantees: 10 years Product Type: uPVC Smooth/Matte Slate Grey 9mm Flat Board Other: Available in a range.. Manufacturer: Homeline RAL Colour: 7015 Product Length: 5m Product Width: 175mm Product Thickness: 16mm Return Leg: 38mm Accreditations: BSI Approved Guarantees: 10 years Product Type: uPVC Smooth/Matte Slate Grey 16mm Reveal Liner Other: Available in a r.. Manufacturer: Homeline RAL Colour: 7015 Product Length: 5m Product Width: 200mm Product Thickness: 9mm Return Leg: 38mm Accreditations: BSI Approved Guarantees: 10 years Product Type: uPVC Smooth/Matte Slate Grey 9mm Reveal Liner Other: Available in a ran.. Manufacturer: Homeline RAL Colour: 7015 Product Length: 5m Product Width: 200mm Product Thickness: 9mm Return Leg: 38mm Accreditations: BSI Approved Guarantees: 10 years Product Type: uPVC Smooth/Matte Slate Grey 9mm Flat Board Other: Available in a range.. Manufacturer: Homeline RAL Colour: 7015 Product Length: 5m Product Width: 200mm Product Thickness: 16mm Return Leg: 38mm Accreditations: BSI Approved Guarantees: 10 years Product Type: uPVC Smooth/Matte Slate Grey 16mm Reveal Liner Other: Available in a r.. Manufacturer: Homeline RAL Colour: 7015 Product Length: 5m Product Width: 225mm Product Thickness: 9mm Return Leg: 38mm Accreditations: BSI Approved Guarantees: 10 years Product Type: uPVC Smooth/Matte Slate Grey 9mm Reveal Liner Other: Available in a ran.. Manufacturer: Homeline RAL Colour: 7015 Product Length: 5m Product Width: 225mm Product Thickness: 9mm Return Leg: 38mm Accreditations: BSI Approved Guarantees: 10 years Product Type: uPVC Smooth/Matte Slate Grey 9mm Flat Board Other: Available in a range.. 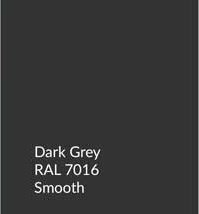 Manufacturer: Homeline RAL Colour: 7015 Product Length: 5m Product Width: 225mm Product Thickness: 16mm Return Leg: 38mm Accreditations: BSI Approved Guarantees: 10 years Product Type: uPVC Smooth/Matte Slate Grey 9mm Reveal Liner Other: Available in a ra.. Manufacturer: Homeline RAL Colour: 7015 Product Length: 5m Product Width: 250mm Product Thickness: 9mm Return Leg: 38mm Accreditations: BSI Approved Guarantees: 10 years Product Type: uPVC Smooth/Matte Slate Grey 9mm Reveal Liner Other: Available in a ran.. Manufacturer: Homeline RAL Colour: 7015 Product Length: 5m Product Width: 250mm Product Thickness: 9mm Return Leg: 38mm Accreditations: BSI Approved Guarantees: 10 years Product Type: uPVC Smooth/Matte Slate Grey 9mm Flat Board Other: Available in a range.. Manufacturer: Homeline RAL Colour: 7015 Product Length: 5m Product Width: 250mm Product Thickness: 16mm Return Leg: 38mm Accreditations: BSI Approved Guarantees: 10 years Product Type: uPVC Smooth/Matte Slate Grey 16mm Reveal Liner Other: Available in a r.. Manufacturer: Homeline RAL Colour: 7015 Product Length: 5m Product Width: 300mm Product Thickness: 9mm Return Leg: 38mm Accreditations: BSI Approved Guarantees: 10 years Product Type: uPVC Smooth/Matte Slate Grey 9mm Reveal Liner Other: Available in a range of colours incl.. Manufacturer: Homeline AL Colour: 7015 Product Length: 5m Product Width: 300mm Product Thickness: 9mm Return Leg: 38mm Accreditations: BSI Approved Guarantees: 10 years Product Type: uPVC Smooth/Matte Slate Grey 9mm Flat Board Other: Available in a range of colours includi.. Manufacturer: Homeline AL Colour: 7015 Product Length: 5m Product Width: 400mm Product Thickness: 9mm Return Leg: 38mm Accreditations: BSI Approved Guarantees: 10 years Product Type: uPVC Smooth/Matte Slate Grey 9mm Flat Board Other: Available in a range of colours includi.. 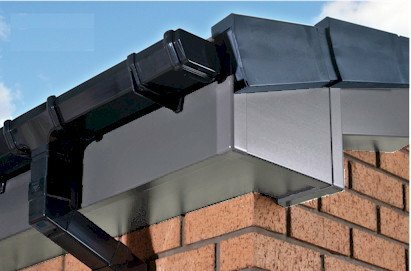 Manufacturer: Homeline RAL Colour: 7015 Product Length: 5m Product Width: 400mm Product Thickness: 16mm Return Leg: 38mm Accreditations: BSI Approved Guarantees: 10 years Product Type: uPVC Smooth/Matte Slate Grey 16mm Reveal Liner Other: Available in a r.. Manufacturer: Homeline RAL Colour: 7015 Product Length: 5m Product Width: 400mm Product Thickness: 9mm Return Leg: 38mm Accreditations: BSI Approved Guarantees:10 years Product Type: uPVC Smooth/Matte Slate Grey 9mm Reveal Liner Other: Available in a rang.. Manufacturer: Homeline RAL Colour: 7015 Product Length: 5m Product Width: 405mm Product Thickness: 16mm Return Leg: 38mm Accreditations: BSI Approved Guarantees:10 years Product Type: uPVC Smooth/Matte Slate Grey 16mm Reveal Liner Other: Available in a ra.. Manufacturer: Homeline RAL Colour: 7015 Product Length: 5m Product Width: 300mm Product Thickness: 9mm Accreditations: BSI Approved Guarantees: 10 years Product Type: uPVC 9mm Slate Grey Hollow Soffit Other: Available in a range of colours including, Light Oak, White, B..
RAL Colour: 7015 Product Length: 5m Product Width: 12mm Accreditations: BSI Approved Guarantees: 10 Years Product Type: uPVC Slate Grey Quadrant Trim ..
Ral Colour: 7015 Product Length: 5m Product Width: 19mm Accreditations: BSI Approved Guarantees: 10 years Product Type: uPVC Slate Grey Quadrant Trim .. Manufacturer: Homeline Product Length: 5m Product Dimension: 25mm Accreditations: BSI Approved Guarantees: 10 years Product Type: uPVC Slate Grey RAL 7015 D-Section .. Slate Grey angle for external use. 25mm by 25mm. Comes in 5 metre lengths. .. Manufacturer: Homeline Product Length: 5m Product Width: 20mm Product Thickness: 6mm Accreditations: BSI Approved Guarantees: 10 years Product Type: uPVC 20mm Slate Grey RAL 7015 Edge Fillet Trim .. Slate Grey angle for external use. 50mm by 50mm. Comes in 5 metre lengths. .. Manufacturer: Homeline Product Length: 5m Product Width: 40mm Product Thickness: 6mm Accreditations: BSI Approved Guarantees: 10 years Product Type: uPVC 6mm Slate Grey Architrave .. Manufacturer: Homeline Product Length: 5m Product Width: 60mm Product Thickness: 6mm Accreditations: BSI Approved Guarantees: 10 years Product Type: uPVC 6mm Slate Grey Architrave .. Manufacturer: Homeline Product Length: 5m Product Width: 90mm Product Thickness: 6mm Accreditations: BSI Approved Guarantees: 10 years Product Type: uPVC 6mm Slate Grey Architrave ..
RAL Colour: 7015 Product Length: 500mm Product Width: 50mm x 50mm Accreditations: BSI Approved Guarantees: 10 years Product Type: uPVC Slate Grey External Square Fascia Double Ended Corner ..